Walker furnished 16 points (6-11 FG, 3-5 3Pt, 1-2 FT) and two rebounds across 16 minutes in the Spurs' 113-85 loss to the Nuggets on Wednesday. Walker shuttled between the G-League and the Spurs during March, although he's now seen the floor in each of the first two games of April. 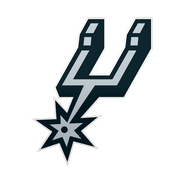 The rookie had only logged five minutes Tuesday, however, and Wednesday's modest spike in playing time seems to have been primarily due to the lopsided deficit San Antonio faced. As such, Walker's minutes still figure to continue to be very limited for the remaining four games of the regular season.